Does the thought of going to a Kelowna dentist give you an overwhelming feeling of fear or anxiety? Has anxiety about dental appointments hindered you from getting the dental care you need? If you can relate, you’re not alone. Many patients can relate to feeling uneasy when undergoing a dental appointment. The good news is, here at True Dental West Kelowna dentistry, we have a solution to help you relax at your next dental appointment. It’s called sedation dentistry. Many patients, whether young or old, have found the best solution to dental anxiety is sedation. Even patients who have a low pain threshold or struggle with a strong gag reflex have found that sedation dentistry allows their treatments to be completed in less time, and fewer visits. 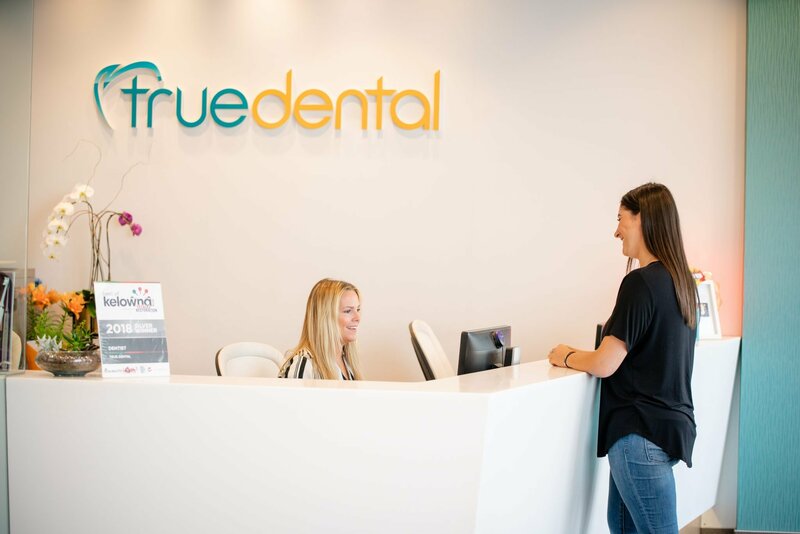 Here at True Dental, we offer pediatric dental sedation, with in-office options as well as hospital privileges. With sedation, your West Kelowna dentist will administer a drug before your procedure. There are different types of sedation, some may render you completely unconscious, while other forms will just help you relax while you remain conscious. Dental sedation is a non-invasive and very low-risk procedure. Sedation dentistry is a great solution for all ages. If you have a low pain threshold, a strong gag reflex, or if going to the dentist causes you anxiety, we encourage you to book an appointment with your West Kelowna Dentist to find out if sedation dentistry is appropriate for you. Many of our patients have reported their dentist appointments are much more relaxing and much quicker with dental sedatives. Book an Appointment at True Dental to find out if sedation dentistry is right for you.